The Plurinational State of Bolivia (Spanish: Estado Plurinacional de Bolivia) is a landlocked country in South America. It shares land borders with Argentina, Brazil, Chile, Paraguay, and Peru. As of 2010, the population of Bolivia was estimated to be 10,902,778. Sucre is the constitutional capital, and is at an altitude of 9,000 feet (2,750 meters). As of 2006, the city had a population of 247,300. La Paz is the seat of government, and is the highest capital city in the world. The center of the city is at an elevation of 12,007 feet (3,660 meters) above sea level. However, the center of the city is surrounded by still higher hills and mountains, and the city has hence grown to incorporate even higher elevations. As of 2008, La Paz had a population of 877,363, but is part of a combined metropolitan area which also incorporates the nearby cities of El Alto and Viacha, and which all together have a combined metropolitan population of about 2.3 million. 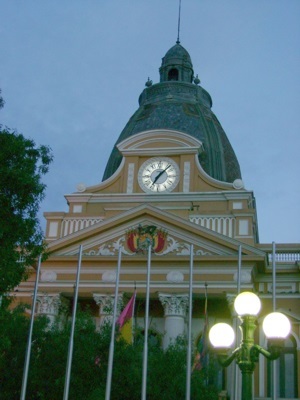 The largest city in Bolivia is however neither Sucre nor La Paz, it is in fact Santa Cruz de la Sierra, which as of 2009, had a population of 1,594,926, with 1,862,911 people live in the city and its metropolitan area. The ultimate guide to discovering everything Bolivia has to offer, from the shimmering blue waters of Lake Titicaca to the blindingly white salt flats of the Salar de Uyuni, from the snow-capped peaks of the Andes to the verdant rain forests of the Amazon. The introduction will help you choose where to go and what to see, inspired by dozens of stunning photos. The Things Not to Miss section runs through all the must-sees, while the Itineraries guide you around the country's highlights. Navigation through the book and on the ground is aided by clear color maps with every chapter. Each map is keyed with all the accommodation, eating and drinking options, nightlife venues, and shops that are reviewed in detail in the Listings chapters. The country is incredibly rich in culture and history, boasting ancient pre-Inca ruins, fascinating witches' markets, vibrant carnivals, and some of South America's finest colonial architecture. There are also plenty of activities for thrill seekers, including cycling down the world's most dangerous road, exploring legendary silver mines, swimming with pink river dolphins, and retracing the footsteps of Che Guevara. The Perfect Choice: Lonely Planet Bolivia , our most comprehensive guide to Bolivia, is perfect for both exploring top sights and taking roads less travelled. Looking for more extensive coverage? Check out Lonely Planet South America on a Shoestring guide. Lonely Planet Bolivia is your passport to all the most relevant and up-to-date advice on what to see, what to skip, and what hidden discoveries await you. 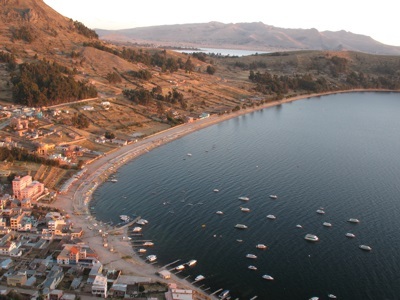 Venture through the world's largest salt flat, trek in the Cordillera Real, or take in the sunset from your ridge-top lodge at Isla del Sol; all with your trusted travel companion. Get to the heart of Bolivia and begin your journey now! The Perfect Choice: Lonely Planet Bolivia, our most comprehensive guide to Bolivia, is perfect for those planning to both explore the top sights and take the road less travelled. Looking for more extensive coverage? Check out Lonely Planet's South America on a Shoestring for a comprehensive look at all the region has to offer. Authors: Written and researched by Lonely Planet, Greg Benchwick, and Paul Smith. *Bestselling guide to Bolivia Source: Nielsen BookScan. Australia, UK and USA, December 2011 to November 2012. Let National Geographic's Bolivia Adventure Map guide you as you explore this South American country with one of the highest levels of biodiversity in the world. Quickly find your destination with the aid of a user-friendly index of cities, towns and protected areas. Then plan your route using the mapped road network, complete with distances and designations for major and secondary roads as well as tracks and trails for those seeking to travel off the beaten path. Other travel network features include airports, airfields, railroads, ferry routes and border crossings. In addition, hundreds of cultural, historical, ecological and recreational points of interest are pinpointed, such as camping areas, archeological sites, geysers, spas, churches and UNESCO World Heritage Sites. The map's north side covers the country from its northern borders with Brazil and Peru down to the capital of La Paz, including Madidi and Noel Kempff Mercado National Parks, Tiwanaku and Lake Titicaca. 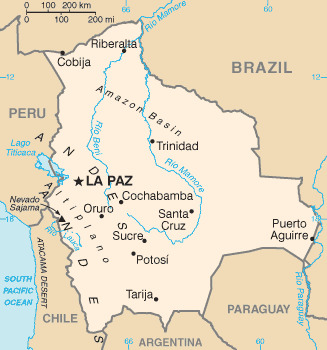 While the south side covers the more mountainous southern half of the country from La Paz to the borders with Paraguay, Chile and Argentina. Included are the cities of Potosi and Sucre, Eduardo Avaroa Andean Fauna National Reserve and the world's largest salt flat, Salar de Uyuni. With such an abundance of specialized content, along with its topographic features, this map is the perfect compliment to any guidebook to the country. Are You Full of Wanderlust? Do You Want to See Somewhere Unique, Exciting, and Untouched by Tourism? Bolivia is a place of natural beauty with a landscape that is rugged, raw, and complex. Its snowy mountains, exotic forests and rolling hills will throw you straight into a painting you’ll never want to leave. With flora and fauna unique to the region hidden just inside the virgin rainforests, every tree offers up a glimpse at a new world. In the cities, you’ll discover a uniquely blended society that combines both European and indigenous culture to form a remarkable melting-pot that must be experienced first-hand. Through rich food, culture, and art, this landlocked South American nation proves that it is like nowhere else in the world. But why this guide? Who am I to show you Bolivia? As a local Bolivian travel writer, it is my privilege to provide you with the very best guide possible for the very best adventure possible! By getting a guide written by a local, you are offered insights not covered in standard guidebooks. After all, you cannot ask a tourist in Italy where the best place to eat pasta is! The same is true in Bolivia. With my lifetime of experience and knowledge, I can take you on a stunning and unique adventure through Bolivia you’ll want to experience again and again. This land of colorful cultures and stunning landscapes offers the curious visitor and student an unending stream of extraordinary things. From a fantastic archeological record to llama fetuses in the Witch s Market, from the coca story to the hemisphere s first indigenous president, the history and cultures of Bolivia is an eye-opening experience. But behind its breathtaking scenery and welcoming culture lies a more complex country facing serious political instability and environmental threat. Bolivia in Focus helps the traveler who aspires to be well-informed to understand the wider picture and build up an overall knowledge of the country. It also gives the reader a thought-provoking introduction to the sources of tension in Bolivia, the poorest country in South America, and the people s struggle for social justice that has been missing since the arrival of colonialism five hundred years ago. Bolivia in Focus is an authoritative and up-to-date guide to this captivating country. It explores the land and people, history, economy, politics, society, culture and religion, and includes the author s tips on must-see landmarks and historical sites and how to get the most out of a brief visit. From the jungle and exotic wildlife of the Amazon to La Paz, the highest city in the world, Marco Polo Peru and Bolivia will help you discover the many highlights of this fascinating part of South America including the awe-inspiring Machu Picchu and the vast expanses of Lake Titicaca. • Insider Tips – we show you the hidden gems and little known secrets that offer a real insight into Peru and Bolivia. • Best of – find the best things to do for free, the best ‘only in' Peru and Bolivia experiences, the best things to do if it rains and the best places to relax and spoil yourself. • Sightseeing – all of the top sights are organized by region so you can easily plan your time. • Discovery Tours – specially tailored tours will get you to the heart of Peru and Bolivia. See ancient ruins, breath-taking scenery and colorful market towns with our inspirational itineraries. • Peru and Bolivia in full-color – Marco Polo Pocket Guide Peru and Bolivia includes full-color photos throughout the guide bringing the countries to life offering you a real taste of what you can see and enjoy on your trip. • Useful Latin American phrases – the essential words and phrases are included to help you get by. Trust Marco Polo Pocket Guide Peru and Bolivia to show you around these fascinating countries. The comprehensive coverage and unique insights will ensure you experience everything Peru and Bolivia have to offer and more. The special tips, personal insights and unusual experiences will help you make the most of your trip - just arrive and enjoy. Nobody knows Bolivia like Lonely Planet, and our 7th edition helps you uncover the secrets of this rugged Andean country. Lose yourself among blinding-white salt flats, creep through the jungle seeking wildlife, shop in a bustling indigenous market and explore exquisite colonial cities. Adventure awaits - let us take you there. Linked by the sinuous spine of the Andes, Peru, Bolivia and Ecuador are born of a synthesis of ancient America and medieval Europe. Footprint's Handbook will guide you from the unforgettably unique Galapagos Islands, through the awe-inspiring citadel of Machu Picchu, to the shimmering turquoise waters of Lake Titicaca. From the mysterious Nazca lines to bustling indigenous markets, Footprint's fully updated 5th edition will help you navigate this breathtaking destination.